Stop for a moment and think about your favorite Buster Keaton moment. There’s many things that may come to mind: the house just missing him in Steamboat Bill Jr., a train going down in flames in The General, just to name a couple. But it’s safe to say films like Doughboys and What — No Beer? don’t spring to mind many classic moments. And yet, Keaton’s lackluster MGM talkies were far more popular than most of what he did previously in his “classic” period. Luckily, times changed and Keaton’s greatest work became recognized in his lifetime. That Keaton now has the legacy he deserves can be credited to television, and the work of one man. Either through a desire or a need to keep working, Buster Keaton didn’t stop when his time at MGM came to a bad end. He kept on working, sometimes in foreign films, bit parts in Hollywood movies or in cheap short films. Perhaps most importantly, Buster Keaton found his way into millions of homes thanks to numerous TV appearances. 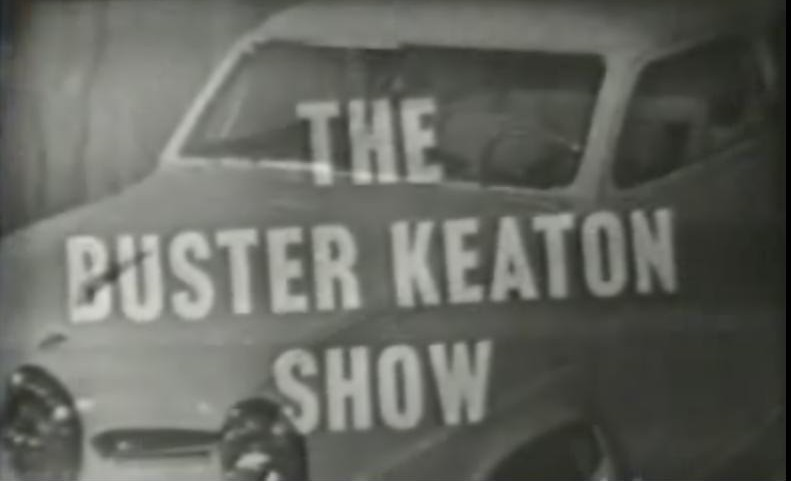 In addition to his own local Los Angeles show, Keaton showed up time and time again on a bevy of shows: Rheingold Theatre, The Best of Broadway, Eddie Cantor Comedy Theater, Screen Directors Playhouse, The Donna Reed Show, Burke’s Law, The Greatest Show on Earth, Mr. Smith Goes to Washington, Route 66, You Asked for It and The Twilight Zone. Combined with commercial spots, Buster Keaton was everywhere on the small screen. A whole new audience became exposed to Keaton, an audience that never saw some people like the retired Harold Lloyd. But that still didn’t expose audiences to Keaton’s classic silent film comedies. Raymond Rohauer is the man who changed all that. Keaton still had many of his shorts and features in his possession, but without the rights to any of them, they were essentially useless. Upon their meeting, Rohauer set about to change all that. At the expense of high legal fees, he renewed copyrights and put the works back in with Buster Keaton Productions. Just as importantly, he transferred the works from unsafe nitrate film to more reliable safety film. Along the way, Rohauer also scoured the earth for copies of other Keaton films. The films were then re-released, allowing audiences to see Keaton’s classic work for the first time since their release. It didn’t come easy, getting these films back in theaters. MGM, who claimed copyright over much of Keaton’s films, sued after The Navigator was screened. Many other court cases, injunctions and lawsuits would follow. Rohauer even clashed with Keaton over securing the troublesome rights to Seven Chances. Keaton, not a fan of the film, didn’t even want him to bother. But Rohauer persisted anyhow. The revival of the films paid huge dividends. Keaton found more steady work in big Hollywood films like A Funny Thing Happened on the Way to the Forum. The accolades rolled in too: a George Eastman House award, a star on the walk of fame, a Sutherland Trophy from the British Film Institute, and a surprise honorary Oscar. The 1960s were his best decade since the 20s. To this day, Keaton retains the legendary status he so rightfully deserves, with Sherlock Jr. and The General seen as some of the best films of the era. And to that, we owe a great deal of thanks to television and Raymond Rohauer.